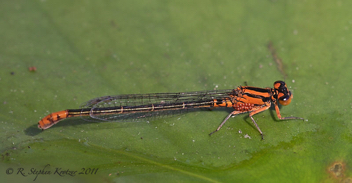 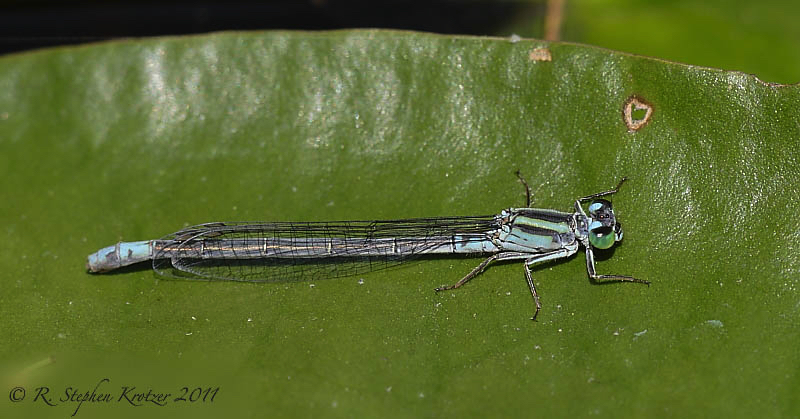 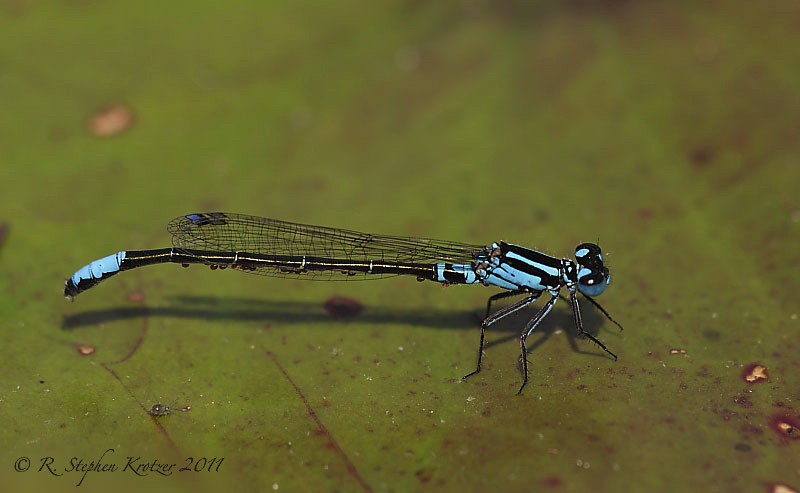 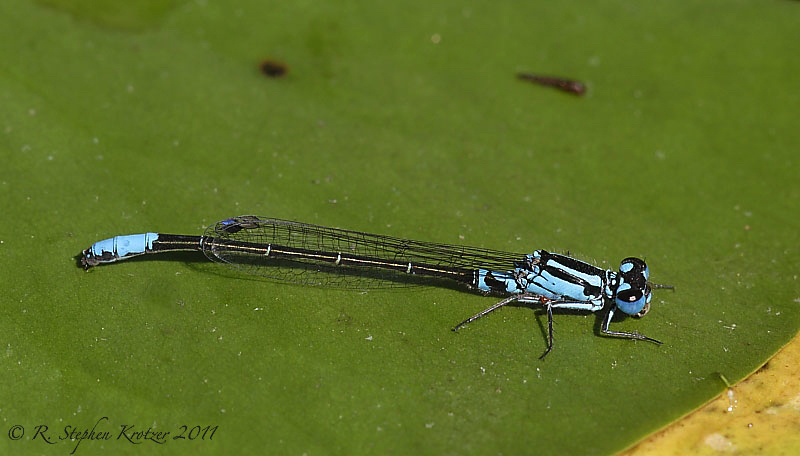 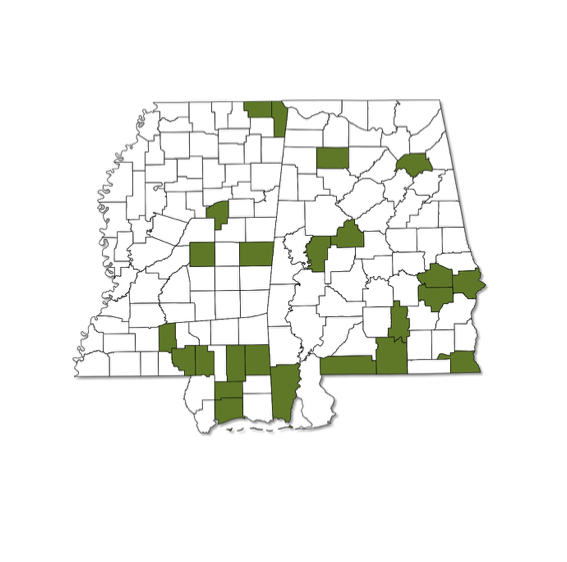 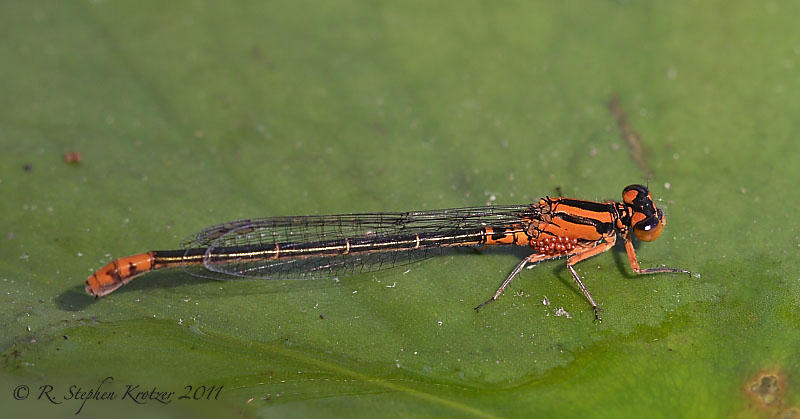 Ischnura kellicotti is known from scattered localities throughout Alabama and the eastern part of Mississippi. This species inhabits ponds, lakes, and stream backwaters with abundant floating aquatic vegetation, which almost always includes water lilies (Nymphaea). 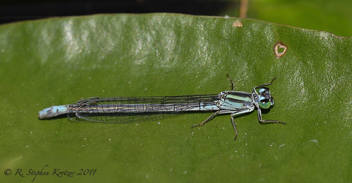 The adults perch, mate, and oviposit on the lily pads, and the greenish nymphs live on the underside of the pads. 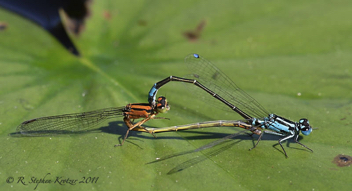 Females can be found in two distinct color forms: the younger females are orange, and the older females are a pale pruinose blue. 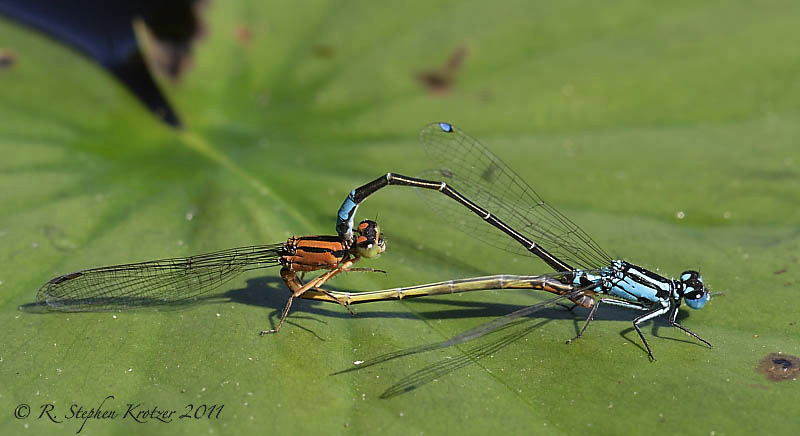 This species seems to be particularly susceptible to parasitic mite infestations.